Major General Luke Reiner – currently Wyoming’s Adjutant General in charge of the 3,000-member Wyoming Military Department – is set to become the next director of the Wyoming Department of Transportation, following his formal appointment by Gov. Mark Gordon (R) on Feb. 20. He began his military career in 1982 as an enlisted soldier in the Nebraska Army National Guard, relocating to Cheyenne in 1997. He assumed command of the Wyoming National Guard on April 1, 2011, and attained the rank of major general in May 2013. 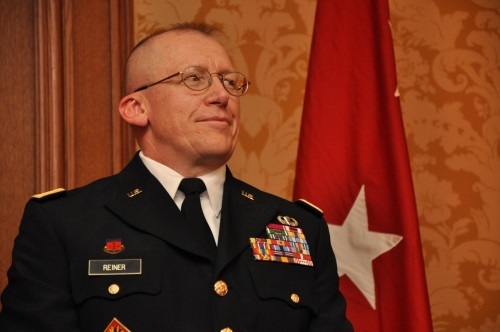 Gen. Reiner – who will retire from the U.S. Army on March 31 – was selected from a pool of three candidates nominated by the Wyoming Transportation Commission to replace Bill Panos, the agency’s director for the past two years, who is stepping from his position at the end of February.